Hotel Raj Bed & Breakfast in Agra, India offers you the chance to stay right next to the Taj Mahal at very affordable prices. Located just 50 meters from the Taj Mahal's South Gate, no other hotel can bring you closer to the majestic mausoleum. Gardenvilla Homestay is family run. Quiet atmosphere. Clean & comfortable accomodation. Indian hospitality. Only 15 minutes drive from Tajmahal and other monuments. 4 star hotel located in agra. We are located in the heart of city, with ease access of any means of transport. Our property is designed seeking the necessary requirement of guest along with their budget. Backwater symphony are the houseboat division of MG Houseboats. Mass Holidays Has been one of Kerala's leading Houseboats cruise vacation specialists since 1995. With over 14 Houseboats and 30 professionally-trained cruises Crew, we are committed to delivering you outstanding service and Houseboats cruise. The princely state of Alwar was founded by Pratap Singh, a Rajput of the Kachwaha lineage, in the second half of the 18th century. Alwar has many interesting and historical monuments. The city has a beautiful lake and a picturesque valley. Our houseboat is located in famous dallake. You can see nice sunset from our houseboat. Durgiana Temple is 1. 7 km from Hotel Orbion, while Jallianwala Bagh is 2. 5 km away. The nearest airport is Sri Guru Ram Dass Jee International Airport, 10 km from the property. It is one of the finest Budget Hotel in Amritsar with all the modern amenities. Price Range Rs 1000 to Rs 2000. Clarks Inn, Amritsar, Punjab is committed to provide a world-class hotel experience accessible to the value - conscious travelers all around the world with a vision of redefining what inns have come to mean in India. Family owned Boutique Beach Resort - Offers homely comforts & luxurious accomodation. Swimingpool, Health Club, Restaurant & Bar. Personalised Service. Great Value for Money!!. 10 minutes drive from Goa International Airport. The Anchorage, A Rustic Hideaway where birds and the wind hum a soothing melody. Chill-inn "Cheap and family run and very welcoming"
Accommodation at the Grande Inn combines the best of luxury, and service standards, offering understated elegance, exquisite, interiors, breath-taking extravagance and unmatched hospitality at an affordable price. Resort with 65 rooms, Spa, Swiming Pool, Resturant, Pool Table, Taxi service. Come alone or bring your family with you, stay here for a night or for weeks, stay here while on business trip or at some kind of conference - either way our hotel is the best possible variant. Feel free. "There are no strangers here only friends who haven't yet met"
Hotel Adarsh Inn is located in the City Centre of the Silicon City of India, Hotel is located very close to the City's business and Shopping Centres and near to Majestic Bus Stand and Bangalore City Railway Station. Clarks Exotica Airport Hotel, Bengaluru is committed to provide a world-class hotel experience accessible to the value - conscious travelers all around the world with a vision of redefining what inns have come to mean in India. The most liked hotels in mp nagar bhopal, a synonym of modern facility among best hotels, an affordable hotel most visited by affluent class and well known groups of businesses. Feel the comfort and luxury at best of Bikaner resorts in the city of culture and heritage with our personalized service and luxurious amenities. This is a very new hotel. it is very near to Karmapa temple and Mahabodhi Temple( Lord Buddha got the enlightment). It is situated on main bypass road. Tented accommdation in AC tents in natural surroudings/organic farming/bird watching. Cozy small hotel in the center of Calangute... with pool and nice garden. A perfect destination for those who seek together privacy and relaxation, just at a distance of 2 min from beach. Beach house is a fully furnished, all with attached bathrooms&just 100 meters facing the Arabian Sea. Hotel Absolute Comfort invites you to experience the city of Chandigarh through a lens of color and a spectrum of comforts. From the moment you arrive, our “hotel of colors” will awaken your senses to an array of delights. KAIRALI – The Ayurvedic Healing Village is the only property to have a hospital license to provide Ayurvedic Treatments. Hence the name change, we are no longer just a Resort but a true healing & wellness Center, a Mecca for Ayurveda. Reminiscence Ayurveda Yoga Retreat RAC, the best retreat for the best traditional & authentic Ayurveda Yoga & Meditation in the best of Nature located on the banks of river Periyar, Kochi, Kerala. Located next to the Fort Cochin Boat Jetty, the Killians Boutique hotel is a luxury accommodation in Fort Kochi, connected to all important places of interest. It serves some of the best regional seafood dishes and global signature dishes. Hotel Mangala International is the premier business class hotel in coimbatore offers its guests, the highest degree of convenience and comfort with host of facilities. The hotel has 85 beautifully appointed rooms and suites, with inhouse restaurants. Happy stay at Colva Goa at Staycation Bed & Breakfast....! Heritage hotel located on the mall in Darjeeling, India offering budget accommodation. Hotel Aanandan Residency is most centrally located at Om vihar, Mata mandir road, Dharampur , is just 2 kms away from the railway station and the main market and approximately 4 kms from the city's main bus station commonly known as ISBT. "Hotel Regent Grand", a Centrally Air-conditioned Luxury hotel located in Central Delhi, welcomes business & leisure travellers to experienced the grandeur of Indian hospitality. Prime lication - centrally located 2 bedrooms available - well furnished with all the facilities-car service, internet, meals from well known restaurants, laundry, home cooked food, 24 hours power back up. The OM PALACE New Delhi is one of the most distinguished addresses in the national capital. Delhis first Bed & Breakfast Reservation Service, providing visitors to New Delhi with carefully selected accommodation in historic Delhi and the NCR town since 1972. The hotel situated in the heart of dhanbad city. Hotel Uday Palace, Nagpur - Surat Highway, Opp. MSEB Plant, A/p : Sakri (Dhule). Hotel Horzay established in 1985 is located in the centre of Leh town. The hotel has spacious and comfortable rooms with view of the surrounding mountains. The property is surrounded by lush green trees and an irrigation stream. Spacious rooms having amenities like Split AC, 32" TV Set, Wide Beds, Wi-fi. Hotel Vrindavan in Fatehpur Sikri is a 'Home away from home'. You are invited to experience our unique hospitality and personalized services to make your stay comfortable and memorable..
Country Inn & Suites by Carlson, Sahibabad, located near East Delhi NCR is 20 km away from the Central Business hub of Delhi. The hotel is approx 50 minutes drive from the international airport and 20 minutes from Noida corporate hub. eco resort with comfort in south Goa . Virgin beach and natural environment . Indian restaurant with fresh food and reasonable prices . Free transfer from Goa airport . Lot's of excursions proposed in Goa and Karnataka . Om Beach Resort is situated along the golden stretch of Beach and verdant green hills in Gokarna. Set in the heart of the serene Cumbum Valley, Harvest Fresh Farms is flanked by mountains that kiss the clouds with streams gushing down its slopes and lush farmlands. A short 15 minute drive down the windward side of Kumily. Escape from the hustle and bustle of urban life, Explore endless adventure possibilities and Experience a unique vacation amidst Western Ghats. At Shepherd Stories we have a cultural space where we conduct some workshops on social reforms / art galleries and reading sessions etc. The hostel holds a good green backyard space exclusive for our guests to sit, dine or read a book and relax. We, At Hotel Kanak, are serving the hospitality industry since the last 17 years. It’s a great Pleasure and Privilege to Welcome you for the fascinating Journey to the world of Hotel Kanak at Jabalpur. Boby mansion,"A HOME AWAY FROM HOME"
Hotel Kalyan is a beautifully structured hotel situated in the heart of the Pinkcity. It is located at a distance of 13 Kms. From Airport, 1 km. from Railway Station and Central Bus Stand. Hotel Kalyan is a First Class Budget Economy Hotel. Budget & a Heritage hotel in jaipur offering services like stay, bed & breakfast, Rajasthan tours, wildlife safari and much more at never so affordable price. Ours is a family run Bed Breakfast hostel in Jaipur offering homely atmosphere. We have total 15 deluxe and super deluxe AC rooms in our hotel. in this hotel a very very beautiful dining hall.. 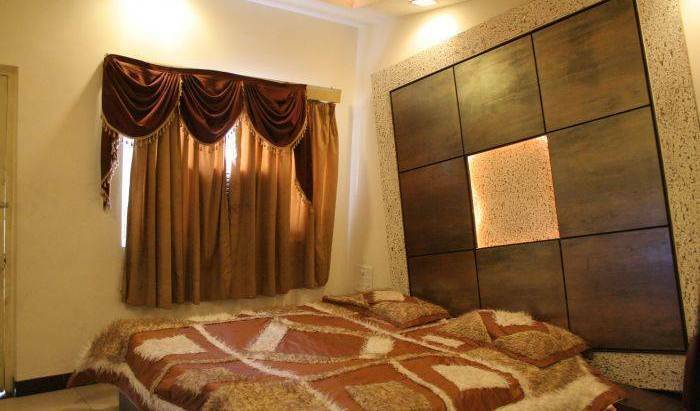 The Kothi Anandam containing five fully equipped rooms with spacious wardrobes, study desks, air conditioning, cable satellite TV, 24 hour Wi-Fi is actually one of the most popular budget hotels in Jaipur. A dream get away for a Comfortable Stay in Jaipur is waiting for you at Silver Sands-Jaipur and Mayo Homestay-Ajmer. Delightfully priced Holiday Homes overlook spectacular green outdoors. Now that's life! Welcome To Experience The Indian Culture And Traditions alongwith Better Safety, Security, Friendly Family Atmosphere and Cost Effective Hospitality. A modern premium class apartment for spending quality holiday time in Jaipur. It is an ideal holiday apartment for tourists interested in cultural experience of staying with a local family. 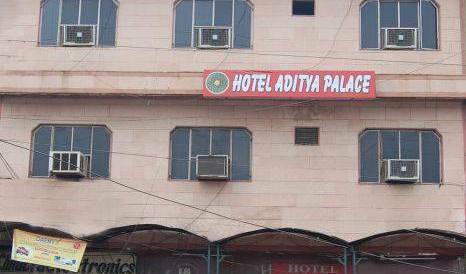 Hotel Siddharth Palace is one of the best budget Hotels in Jaipur, providing good service and best tariffs also other economy hotels in Jaipur. Reach Us! Deep Mahal ia a small heritage Boutique hotels in unique fort of jaisalmer, and this historic house full of charm and character. Traditional comfort room accomodation at affordable rates. Join us in a great camel safari through the magnificent desert..
Hotel Imperial:-Provides an ideal accommodation with cozy, traditional style. Hotel Helsinki house offer a 14 rooms with All the modern facilities with European style and managment and every room offer wonderfull view to fort or lake or to thar desert!!! The Luxury rooms have attached bath room running hot & cold shower, spot less clean. Traditional rooms have nice & comfortable beds. Chhotaram's family run homestay since 2003 in village salawas. Bishnoi Village Camp and Resort is an ethnic village resort consist of mud huts and is situated amidst of Bishnoi villages where you can see how a community protects environment. Riddhi Siddhi Bhawan is the home of Karni and his wife Darshini. This heritage style home is centrally located. It is a mere 1. 5 kms each from the railway station and bus terminus and 2 kms from the airport. The Hotel that gives you the comfort of being at home. Centrally located and within three kilometers of the Domestic and one kilometer to the International Airport and Two Kilometers away five minitus to Andheri Railway Station. Olivia Residency is here to redefine the rising concept of hospitality with their commitment in serving the guests to accomplishment. Pillowrock is a homestay situvated in the middle of green coffee plantation. Budget Home stay In Kalpetta head quarters of Wayanad Kerala with top class facilities in a natural ambience. Newly fully furnished hotel with all moder facilities of equal to 3 Star attached toilet/shower and Balconies. Ours is an admirable eco friendly resort, next to one of the world's most renowned and reputed protected forest area and Tiger reserve - Kanha National Park. 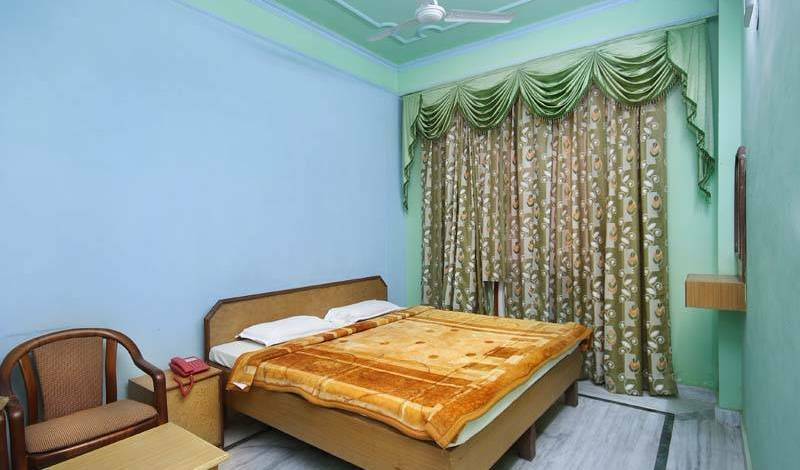 HOTEL Mandakini plaza is a friendly hotel located strategically in the heart of kanpur city in close proximity to shivaji dwar (moti jheel), committed to best personalized hospitalities at very affordable price. Welcome to Hotel PC Palace Kargil. Hotel PC Palace is an apt reflection of modern day , contemporary, yet retaining the old world charm and hospitality that has attracted travellers to Kargil since the 1969’s. 32 a c rooms, restaurant, banquet hall, conference hall etc. Diphlu River Lodge opened in January 2008, providing much-needed top-class accommodation at Kaziranga National Park, a World Heritage Site. Tulip Offers you a homely ambience with best location, access, free WiFi, food and transportation. We are an efficient business who have ruled over hearts for years now. We have delighted the people with our lip-smacking food ever since we inaugurated just two decades back. Now we have a list of regular clients that sum up to more than 2 lacks. We have a wide array of rooms with single/ double and family accomadations. Each room is air-conditioned and equipped with satellite TV. We also provide Wi-fi to all our guests. Every guest is entitled to complimentary breakfast. The proposed home stay, renovated without spoiling its old architectural grandeur, has 2 bedrooms with attached bathrooms. Beach Florra Inn | Hotel in Kovalam located at the beachfront overlooking the ocean with clean and cozy rooms, sea view common balcony and en-suit bath. Enjoy holidays, sun bath, ayurveda massage, shopping and dining. our hotel in located near pgi lucknow, our endeavors that we can make the customer better available at a lower cost. Situated at the heart of the Temple City, PK Residency has amazing rooms, party hall, restaurant, conference hall, 24/7 support and house keeping. Our staffs will make you feel at ease and make your trip to the Temple City a memorable one. Kadambavanam resort is an ethnic resort in Madurai, in a hillock in a sea of green. Hotel rise, mainpuri ushers its guests into a world of comfort and luxury along with heartwarming hospitality. wounderfull stay amidst nature having luxury accomodation. BEST PRICE.